Amidst the posh new restaurants and stores that make up the Scottsdale Quarter there's a place that takes you back to a time when sipping martini's was fashionable and elegant dining was in. From the red awning and revolving glass door entry way to the six-foot handmade crystal chandeliers, the embossed dark brown leather walls, and the tiered glass bar Dominick's, which opens Oct.6th, resembles a classic Midtown Manhattan upscale steakhouse with a stunning and energetic atmosphere. 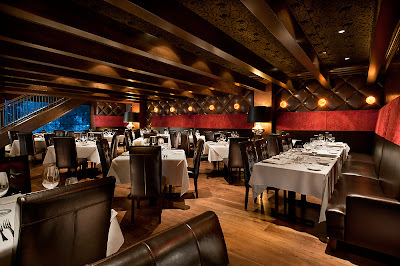 This two tiered 350 seat restaurant offers a dramatic yet intimate dining experience. 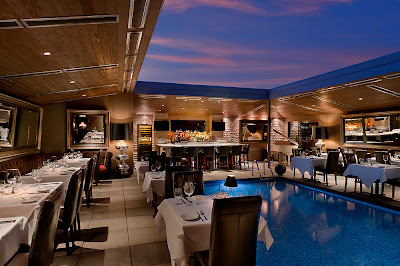 There are two private dining rooms including a 3,000-bottle wine cellar, and a rooftop poolside area, which makes for a romantic dinner under the stars. Four of us attended a pre-opening event this past weekend; a chance for staff to practice before the big night. But honestly not much practice was needed as these folks had it all down. Our waitress was top notch and really had a handle on all of the menu selections. Speaking of the menu...it's pretty straight forward. Appetizers range from a classic spinach salad with warm bacon dressing ($6.95), to absolutely delicious Maryland style crab cakes ($12.95), with hardly any filler, to an out of this world buratta and roasted pepper platter with homemade croutons ($12.95). There are several cuts of steak listed, including a melt in your mouth 18oz bone in filet ($52.95). 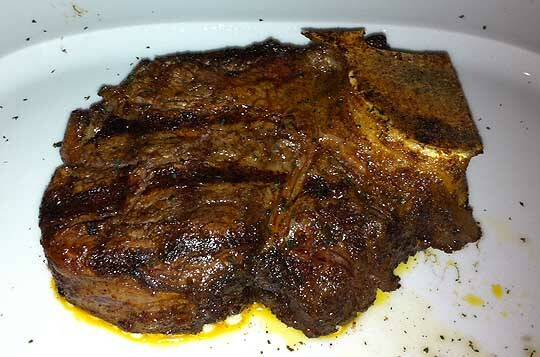 And a 20oz juicy marbled ribeye ($45.95). 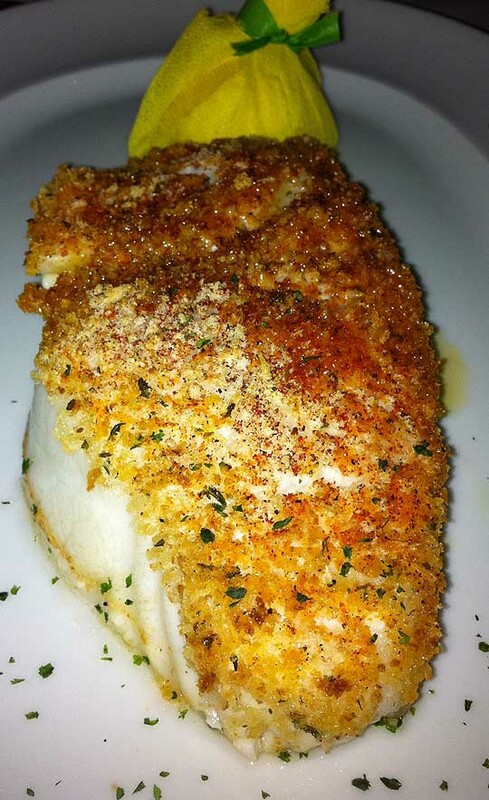 The seafood, which is flown in daily, features a lightly breaded buttery 12oz Chilean Sea Bass ($36.95) and a table-side filleted Idaho Rainbow Trout ($27.95). There's also a few Italian specialties listed, including the traditional Veal Paremsan ($39.95). Sides are extra and large enough to share. Like the house made pillow like gnocchi in red sauce ($19.95). 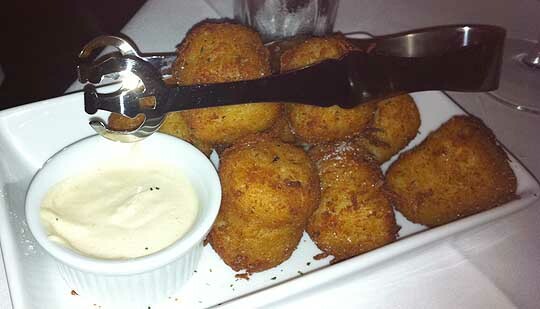 Or the tatar tots ($7.95) which were described to us as riced mashed potatoes that were breaded, fried and served along side a creamy mustard sauce. Dessert is something that should not be missed. Choices range from sorbets, to creme brûlée, to a colossal piece of s'mores cake. 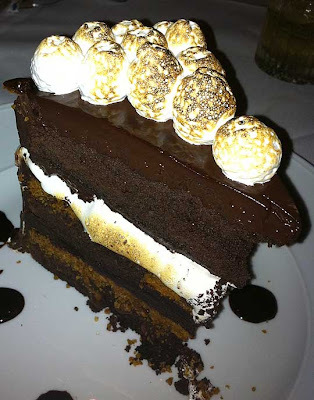 Made with homemade graham cracker crumbs and marshmallow this one's hard to resist. Dominick's, mixed with old school charm and delicious food is my kind of restaurant. But how often will I go back to this high end establishment...only time will tell. 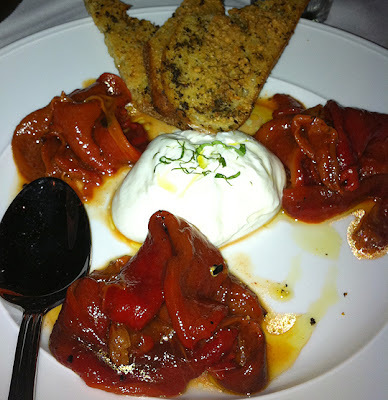 With the average cost of dinner per person hovering around $85 this is not a place for a casual night out. But if your looking for a special occasion dinner I would strongly suggest you give it a try. Wow! That place looks incredible and the food- oh my! Heavenly. I wish I had any one of those dishes tonight for dinner! My ex-roomie's parents live in Scottsdale so I'm gonna have to let her know that this place is worth going to! Great review! 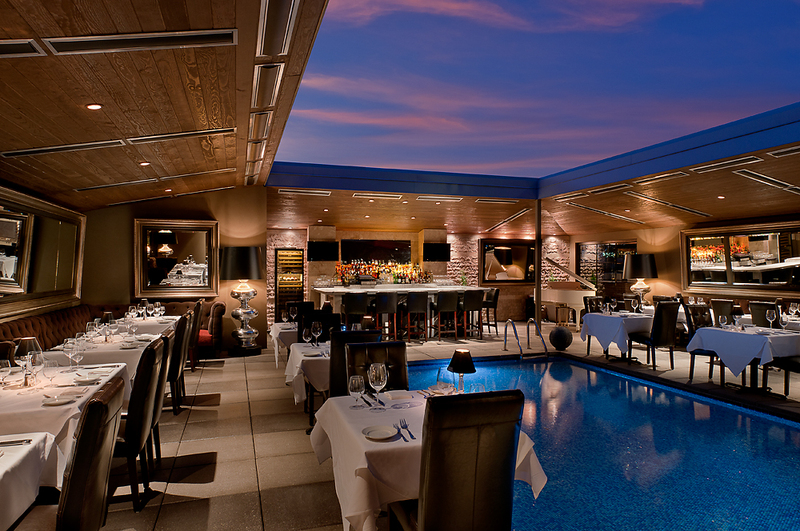 I'm hoping to come to Scottsdale this winter and will put this place on the list for sure. What a delicious meal you ate.